Photographers that stick to Apple-brand products have likely overheard some of the hype behind the brand-new Pixelmator Pro app. …But what exactly does this program have to offer that the competition lacks? How does Pro work in conjunction with the original Pixelmator app? Where and when can you download it? Today, we’ll be going over the basics behind Pixelmator Pro to help you make more informed decisions as an image maker. Lots of Mac users are familiar with the original Pixelmator imaging program. Founded in 2007, Pixelmator has been included among Apple’s “Apps of the Year” a number of times. Similar to Photoshop, it allows users to perform layer based edits. However, the first iterations of Pixelmator have been relatively limited in comparison. Initially, Pixelmator strived to make the software simple enough for any image maker to understand. However, as more photographers latched on to the software, more experienced users craved something a bit more advanced. For those working as professional photographers or retouchers, Pixelmator simply didn’t have a depth and versatility to pull off complex assignments. Pro plans to change all of that. Despite retaining the simplicity and usability of its predecessor, Pro is overall a more sophisticated system. 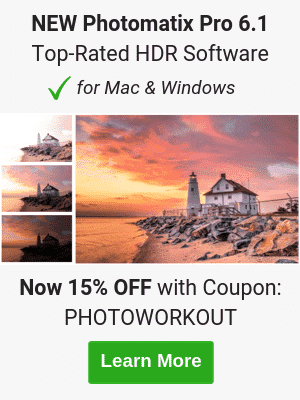 With the ability to process RAW images as well as Apple HEIF formats, users can make nondestructive altercations in real time while retaining the qualities of the original base shot. For those already familiar with Pixelmator, one immediately evident difference in Pro is its massive UI overhaul. Over the years, Macintosh has become synonymous with sleek efficiency. So, it comes as no surprise that Pixelmator has made some updates to keep up and streamline the editing experience as much as possible. Multi-taskers should be pleased to learn about Pro’s split-screen view that allows users to customize what it is that they see. Tabs allow users to switch between separate files with ease, and free floating tool windows make everything that you need readily accessible. Pixelview also allows users to hide aspects not in use and switch between list and thumbnail views. That way, users can focus on their picture rather than everything surrounding their picture. Pixelmator Pro goes a step further by allowing for custom key layouts. This means that you can assign shortcuts via your Touchbar as you see fit. Every photographer is different, and Pro allows image makers to choose the way in which they interact with their program. Pro’s appearance only begins to scratch the surface of Pixelmator’s updates. It has also implemented an autosave feature to ensure that you don’t lose progress. iCloud syncs and backs up Pixelmator images, further giving users piece of mind that their work is safe and easily accessible. Upon completing an image, Pro makes it easy to transfer directly to other popular apps and social media platforms. In short, machine learning refers to the science of making our technology “think” more like a person than a computer. Pixelmator has made an effort to add a few nifty features built to detect image elements and accomplish specific tasks that go above and beyond the run-of-the-mill automated editor. For starters, Pro’s content aware technology is unbelievably powerful. Perhaps most impressive is the repair tool, which can seamlessly remove unwanted image elements from a scene. Just as helpful has to be the intelligent and refined quick selection, which makes isolating elements easier than ever. Another new addition is the color selection tool, which makes drastic color changes easy to implement. Pixelmator can even detect horizons within an image and proceed to automatically straighten photographs accordingly. Pixelmator also tries to identify what is being shown in a photograph. From there, it automatically names layers. For instance, a field of evergreens might be called ‘trees’; a snapshot of your pet might be named ‘cat’. 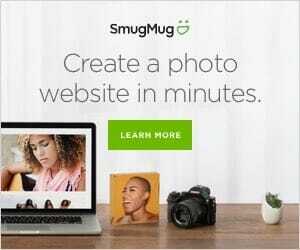 While this may not seem like much, this feature can be especially helpful when keeping track of complex, multi-layer images. Lastly, Pro has taken a line out of Adobe Lightroom’s playbook by implementing “Recipes” akin to LR presets. Users can easily build and save recipes of their own composed of personalized adjustments. That means if you stumble upon a particularly great look, you can reuse the combination setting used to attain it again and again. What good would a revamp be without some cool new tools to test out? Pixelmator Pro has gone above and beyond to enhance their existing arsenal to truly transform images. Among the additions are 100+ dual-texture brushes and erasers as well as 26 unique blending modes. As seen here, this results in the potential for much more advanced vector graphics and digital painting. Pro has also brought in easy-to-implement reshaping and retouching tools capable of blurring, tilting, and distorting images. Furthermore, Pro utilizes ColorSync color management to make results appear as close to lifelike as possible. For those slow to change, don’t panic. Pro retains many of the same familiar tools common across editing software. The histogram, tonal curve, auto adjustments and basic sliders often used for global adjustments are still present exactly where you’d expect them to be. For less experienced photographers, these add-on may seem like a nice bonus. But for industry professionals, the culmination of changes Pro brings to the table makes Pixelmator a viable option for tasks beyond simple editing, such as editorial layout work. Pixelmator Pro is a brand new release – it just hit Mac’s app store on November 29th. The basic version of Pixelmator can be purchased through the app store for a one time fee of just $4.99 – Pro’s release price is set at $59.99. Considering all that Pro offers in comparison to its predecessor, this is an excellent bargain. 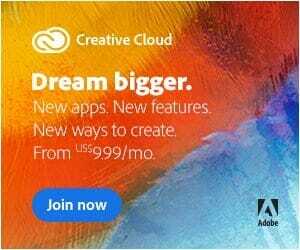 While Photoshop may initially seem like a more frugal choice at a monthly cost of $9.99 per month, longterm Pixelmator users will ultimately pay less than peers sticking to Adobe. However, those considering Pro shouldn’t put off their purchase for too long. As new features and free updates become more readily available, the price will likely rise. As Pixelmator Pro’s user base grows, it will also be worth keeping an eye out for plug-ins and extensions to further customize the editor. A Distort extension that further allows Pro users to manipulate projects. The ability to save files for web preparation. No matter how you slice it, the future for Pixelmator Pro is looking bright. As feasible competition to industry giant Adobe, Pro does its part in providing photographers more options. Plenty of tweaks, expansions, and possibilities lie down the road for the newcomer – in our opinion, it’s worth your while to keep a close eye on where Pro is headed down the road. Not really a review but a description. Agree, will do some in-depth reviews with actual images soon. Thanks for you comment.